In the last ten years, Americans have spent billions of dollars on breast implants, liposuction, and nose surgeries. These operations only continue to increase with each passing year. Plastic surgery is not only increasing in Portland; breast implants, specifically, are increasing all over the nation. So why is this happening? In this modern day and age, women now have safer and better options. Especially when it comes to breast implants. Cosmetic surgery isn’t the risk it was 50 years ago. You just have to know where to go and who to go to. Continue reading to see what Lake Oswego plastic surgeon, Dr. Burgess has to offer. Dr. Elisa Burgess is proud to be part of a growing group of surgeons who now offer the latest in implant technology, the new IDEAL IMPLANT® Structured Breast Implant. This implant offers the benefits of silicone gel implants without some of the drawbacks. It gives women the natural look and feel they want without having to worry about monitoring for silent ruptures or changing shape. Dr. Burgess provides unmatched satisfaction for her patients. Breast implants aren’t just about outward appearance; they give women the confidence and peace of mind that they want. Dr. Elisa A. Burgess is a board-certified cosmetic and reconstructive plastic surgeon that has a private practice in Lake Oswego, Oregon. 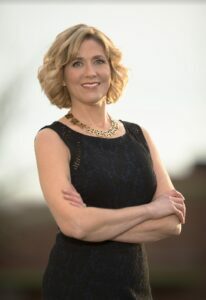 As a female plastic surgeon, she specializes in breast surgery for augmentation, lift, reduction and reconstruction, as well as abdominoplasty and liposuction. Her specialty practice also encompasses facial rejuvenation, including face, neck, cheek, and eyebrow lifts, which may be accompanied by eyelid surgery. Dr. Burgess assembles a truly comprehensive package of elements that determine your ultimate vision: form, shape, function, and balance to help you achieve your dreams of natural beauty and self-confidence. Do you live in Portland? Breast implants that look and feel completely natural can be yours today. Contact Dr. Burgess today to discuss your options. Simply call (503) 699-6464 or visit www.burgessplasticsurgery.com. Dr. Burgess’ office is located at 16865 Boones Ferry Road, Suite 101, Lake Oswego, Oregon, 97035. Call today for more information on IDEAL IMPLANT® Structured Breast Implants.